I HOPE YOUR DAY HAS BEEN BLESSED AND BEAUTIFUL. WE HAD A DYNAMIC CHAT TODAY ON IRAQI MILITARY MOVEMENTS, CLOSING OF BORDERS, AND CONFIRMATION THAT TARIFF'S WILL BEGIN AUGUST 1, 2015. WE ALSO DISCUSSED PRIVATE SECTOR DEVELOPMENT, LAWS AND IMF ARTICLE VIII REQUIREMENTS, OF WHICH IRAQ IS NOW ADDRESSING. HAVE A BEAUTIFUL SUMMER'S EVENING. sczin11: ARE WE WAITING ON OOTW?? OOTW: THEY "GRADE" IS A "7"
Iraq's Finance Minister Hoshiyar Zebari speaks during a news conference in Baghdad February 26, 2015. Iraq plans to obtain a sovereign credit rating and is approaching rating agencies as it prepares for a jumbo $5 billion bond issue needed to cover a budget deficit caused by low oil prices, its finance minister said on Thursday. Iraq has said it will issue $5 billion of debt in its first international bond sale for nine years. Its need for cash is acute; the government has projected a budget deficit of about $25 billion this year, in a budget of roughly $100 billion. Obtaining a credit rating from a major agency, which Iraq currently lacks, could help to persuade global fund managers and banks to subscribe to the issue. 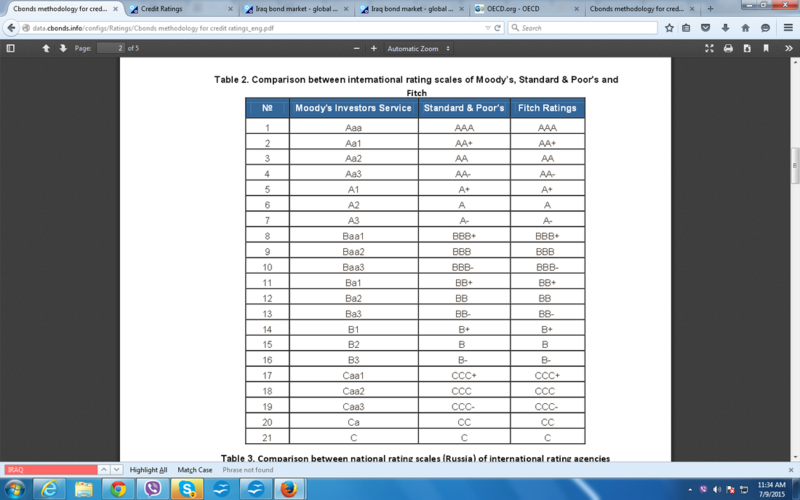 Zebari said Iraq was trying to approach two or three rating agencies, which he did not name. It has been discussing its bond issue plan with Citibank and Deutsche Bank. The process of obtaining a credit rating could be a delicate one for Iraq, requiring it to open its books to the agencies and disclose new information on its finances. Zebari did not say when he expected the process to be completed. Iraq's huge oil reserves in its southern fields, which have not been touched by the Islamic State insurgency, are expected to draw buyers to its bonds. But many fund managers think it would struggle to sell $5 billion in a short space of time, even with generous pricing. Iraq has an outstanding U.S. dollar bond maturing in 2028 462652AA6=; panic selling late last year as oil prices plunged pushed its yield to a record high of 10.49 percent from around 7.2 percent in September, but it has since dropped back to 8.04 percent. Iraqi five-year credit default swaps IQGV5YUSAC=MP, used to insure against any sovereign default, are at 539 basis points, near their highest levels since late 2009. In addition to the international bond issue, Iraq has introduced or is planning other fiscal measures including a local currency bond issue to banks, taxes on some consumer goods and public wage cuts. It has also been considering whether to ask for aid from the International Monetary Fund. Is "A7" a good rating???? Punisher Wrote: Is "A7" a good rating???? >YES< That is a good rating!!! ACCUSATIONS OF CORRUPTION BEING MADE AGAINST THE JUDICIAL SYSTEM ..
NearTheSea: so what does all this mean? NearTheSea: Wish I had a job like that! OOTW: I DO WANT TO WAIT AND SEE IF WE GET MORE ARTICLES ON THIS- BUT IF IT'S TRUE, HOW CAN CHALABI VALIDATE THOSE CHARGES IF LAWS STILL NEED TO BE PASSED? BUT REMEMBER DURING THE ELECTIONS LAST YEAR, JOBOURI, MASSUM, AND MAHMOUD PULLED TOGETHER TO GET ABADI SEATED AS THE PM? IT WAS STUPENDOUS. AND/OR ENACTMENT OF THE EITHER OR BOTH THE FEDERAL COURT ACT OR THE JUSTICE AND ACCOUNTABILITY LAW. IT SEEMS THERE'S AT LEAST THREE PATHS HERE. IRAQ..JUST GET ONE OF THESE DONE, WOULD YA, PLEASE? OOTW: BESIDES, WHY DO WE NEED MAHMOUD TO GO? AND CERTAINLY, THERE'S DOCUMENTS LINKING HIM TO OWNING SADDAM ERA PROPERTIES, SUPPOSED TO HAVE BEEN GIVEN TO HIM BY MALIKI. I'M FAIRLY SURE HE'S A BAD EGG. LOL. REMEMBER WHAT MASSUM SAID ABOVE (SORRY TO REPEAT MYSELF...BUT IT'S IMPORTANT)...HE SAID WE NEED ECONOMIC REFORM AND NATIONAL RECONCILIATION, THAT'S GOING TO COME FROM SOCIAL JUSTICE..
AND HE SAYS..JOBOURI'S THE MAN, AND MASSUM SUPPORTS JOBOURI IN DOING WHAT HE NEEDS TO DO...TO GET THOSE LAWS PASSED..."LET HIM GET HIS WORK DONE"..
DO YOU THINK THAT THE PRESS ARE THE FIRST PEOPLE TO BE INFORMED ABOUT MAHMOUD'S CORRUPTION - NOPE..BUT THE GOVT HAS HAD ITS HANDS TIED. IT SEEMS IRAQ IS DOING A LOT CLEANING UP. LET'S HOPE THEY GET IT DONE! STAY TUNED..I'LL BE ADDING TO THIS AS THE EVENTS OF THE COMING WEEK UNFOLD. OOTW: *"TOMORROW" NOW BEING "TODAY"
OOTW: AS A PERSON I KNOW FROM THE MIDDLE EAST, WHO'S MUSLIM, SAID TO ME THE OTHER DAY..."RAMADAN IS WHEN PEOPLE ARE GENEROUS AND THEY WANT TO SHOW IT"
OOTW: THERE'S NOTHING STATING AT THE PARLIAMENT SITE THAT I CAN SEE RIGHT NOW, THAT SAYS THEY'RE WAITING UNTIL AFTER EID TO PASS LAWS. Sliderule: working together a good thing? Sliderule: Thanks. Sometimes hard to keep track of what is beneficial. Doug_W: he is SOO vastly superior to his predasessor!! Sliderule: He is trying to clean up years of problems. Sliderule: OOTW How do you keep up energy to research this mystery? OOTW: Prime Minister Dr. Haidar Abadi, during his meeting with a number of Arabic and Muslim ambassadors, the current Government is to open new horizons for cooperation with the countries of the world especially the Arabic and Islamic countries and joint work and floor console between us for the welfare and the well-being of our people. OOTW: OKAY I'LL TAKE THAT AS A "NO"
OOTW: The reasons for the positive In order to link the Judicial Institute of the Federal Judiciary as on the preparation of the judiciary and public prosecutors and their appointment, dismantling duplication of his administration, and the purpose of development so as to enhance the independence of the judiciary and respect for the rule of law. EdoBini: Thanks OOTW. One reading is good for start. rollonjohn: ‹@OOTW› Do you know where we stand with their version of an FDIC law? Donnie: ‹@OOTW› when someone else posted Iraq Parliament was done until after Ramada I went to the parliament site and found nothing confirming this shutdown. rollonjohn: ‹@OOTW› Thanks for all you do! Donnie: if parliament members don't show up then they end up on the "no show" list. chattels: BAGHDAD, Iraq – Iraqi air force jets bombed the Islamic State (ISIS) group near an important air base in Salahadin province on Sunday, killing 39 militants, the defense ministry said in a statement. It said the warplanes had targeted ISIS positions around the Speicher air force base, Iraq’s second-largest. "Iraqi jets have bombed many ISIS militants southeast of the Salahadin province capital of Tikrit, dealing a major blow to the group strength in the area," according to the ministry. jarhead: ‹@chattels› so that means theyre voting to definetly default?? chattels: On the other side of the world, the financial markets are waking up to the news from Greece. The euro has promptly tumbled by 1%, falling from $1.111 to $1.099 against the US dollar. ladyfox: :grin: I have a cousin that is banking now on all road blocks to be lifted off Iran and he will cash in on their currency. what ya think of that? ladyfox: hey what happen to other comments is it big chat time? GM scizn Rolleyes . Iraq including the CBI is a HOT MESS! I made a comment in your chat thread about my feelings. I will bring it over here just to reiterate. Great post OOTW and you bring some very interesting points. Iraq is a hot mess. There has been much discussion about the competency of Keywords, and you know my feeling about Maliki's abrupt appointment of Mohsen's position as the Head of the Central bank. Days before Abadi took office Maliki took advantage of the situation. Mohsen was his Pawn. There has been much discussion by Jobouri and parliament about these appointed positions, and the ability to form a technocratic government. Very few of these positions have been changed. Truly, everyone knows these positions were used/abused by the Maliki, for a government of corruption. In my opinion no one in Iraq has the guts to do the right thing because of guilt,corruption and/or sectarianism, if so Maliki would not be walking the streets. Iraq needs National Reconciliation and the Parties Law to move forward. Iraq needs to the be ability to persecute the guilty and institute some Rule of Law. Iraq will not be whole or successful until these things are achieved. Iraq is controlled by too many external influences. Iraq is a Pawn not only of the US, but of Iran and other Middle Eastern influences, including ISIS. This is a sad state for any country. So let me get back to the CBI. Now, this brings me to one point. Maliki, being a legend in his own mind, for one reason only, appointed a dolt like Mohsen to cover up his corruption. Ali Mohsen was appointed to the head of the CBI only as a tool. Yes, OOTW you are right the CBI reserves before Mohsen were reported to be around the equivalent of $80 B Dollars in 2013. So where did that money go? Did the CBI waste the reserves on the sale of the dollar or was it lost due to money laundering by the corrupt or both? To compound the sadness the finance and economic committees have no clue. Seriously, the dismissal of Shabibi was a sectarian decision, and under Turki and Mohsen , the CBI still has the same problems. Initially the Economic/finance committees were sure Shabibi was responsible for the loss of reserves because of money laundering, when the in truth there was and still is a lack of control of the borders. Mohsen is supposedly going to be questioned again Sunday by the Finance/Economic committee about the spread between the CBI rate and the Market rate. The exchange tax for purchase of the dollar. Shabibi spelled out the cause before and did so again this week. The CBI has to be independent under IMF rules. I don't see how the IQD could become an internationally traded currency until these things are achieved. The Iraqi government cannot govern over the CBI limiting the sale of the dollar to 75M per day. The judiciary needs to come back ASAP with their judgement on this subject. We still the majority of people in the government which are Shia and very much loyal to Iran. Iran is supposedly going to come out of economic sanctions at the end of June. I know this is a far stretch, but when Iran comes out of economic sanctions maybe the money laundering and loss of reserves may be controlled. So here comes something else we need to understand. The majority of economic intellectuals in Iraq have been removed. Iraq has elected people within the government who have no education in economic reform. If Iraq chooses to play the IMF game, the government has to loose control of the CBI. There can be no limit on the CBI's ability to control the Market exchange rate. Now do I believe that Mohsen is the right man ? Of course not! These people have no clue how the CBI should run. They/the GOI, believe the Iraqi constitution gives them the right to control the CBI. The CBI banking Laws give the CBI the right of independence. There has to be some adjustments in the constitution for clarity, if they, the government of Iraq choose to be under the rule of the IMF. It appears that the GOI of Iraq feels the CBI is depleting reserves to protect the IQD exchange rate, and I would have to agree. So they attempted to stop the sale of reserves by limiting daily sales of the dollar to $75M/day. So what happened? They live in a supply and demand economy. The Cost of the dollar went up. You limit the dollar and the price goes up. Recently, the CBI has allowed for more exchanges to trade the dollar and increase supply and guess what? The spread is even higher. It's the same old story. Let government try to control a market in any economy and watch things get out of control. IMO, until Iran comes from under sanctions the GOI will do nothing to protect the borders or money laundering. Iran needs the dollar/hard currency and this subsequently drives the secondary/black market in Iraq. 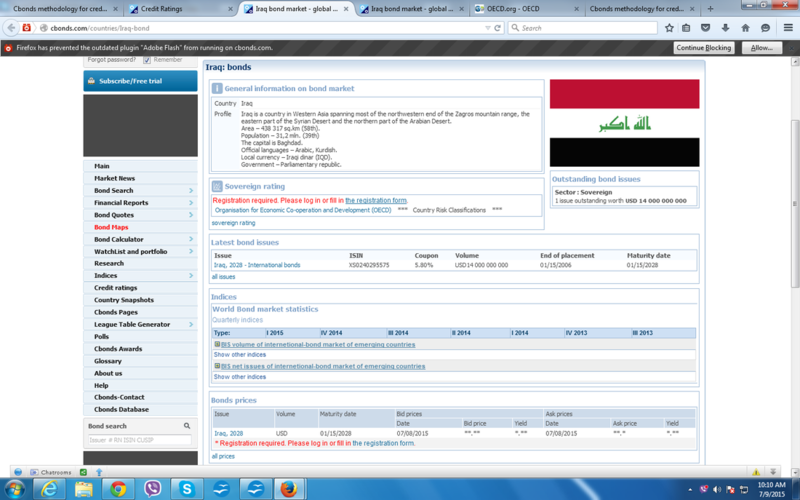 Iraq and Iran are supposedly signing agreements concerning money laundering and trade. We will have to wait to see if these agreements have any impact on the black market. Somehow this all has to come together for this Iraq. Those of us willing to study, will hopefully see Iraq move into an internationally traded currency with the value it deserves. I believe it's not going to happen tomorrow or any time SOON, but I'm still hopeful. Recently, we were introduced to a new News Forum called "Wealth Watch" and have followed it for a week now, as we have never posted any other forums information on our site, as you all know. They post the news daily, like we do, but also have more of an interactive forum that some of you may like. During this time where we are taking time off for Ramadan to be with our families and on vacation, I thought I would share their information with you (our Valued listeners/followers) because I feel they have the same goals, integrity that we have after talking with two of the owners. And I know it may help all of you who want and miss calls with Straight Talkin Mike and LJ (Debbie, Diana & Kim). 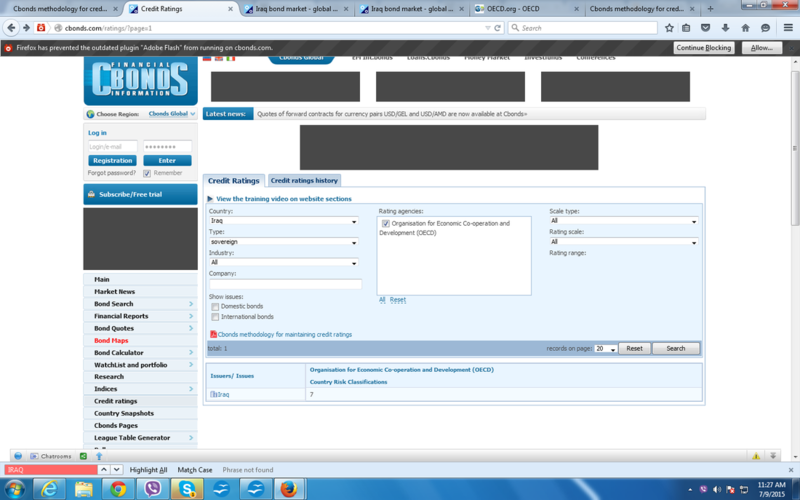 You must sign up for their site with user name and password to get all of the News Links & Chats. 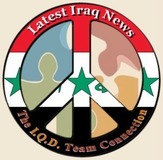 Go to www.wealthwatch.world and Register if you want to get their daily Iraq news, chats, etc.